If you had told me one year ago that my holiday shopping list was going to have an addition this year, and that that addition would be a pet... well, I may have thought you were a little crazy! You see, I have never been a pet person. In fact, I actually have a major phobia of basically all animals. I never could fully understand how someone could consider their pet such a part of their family that they would spoil them with gifts. Then Stella happened. A few months ago, a little kitten showed up in front of our home. She was a tiny thing standing in the road, and I worried that she might get hit, so we took her inside to safety and prepared to start the search for her owners. Search we did! We went door to door, asking around and found that no one was missing her and no one was looking. It seems she may have been abandoned. Still, due to our rental we knew we couldn't keep her. On that same day, my autistic child was struggling at school. He was hyper, he was climbing furniture... he was disrupting the class and not doing any work, and so off to school we went to bring him home- kitty in tow. From the moment Shaun picked her up, it was like a light switch had been flipped. He was calm, he was quiet. All evening long, he laid with her- completely at ease. Completely out of character for my child who quite literally at times could be found bouncing off the walls. I was shocked. I simply could not believe it, he was like an entirely different child. And as we continued to search for her rightful owner, we continued to see that difference. When our search came up empty, it seemed as though perhaps she found us for a reason. Seeing the impact that she had on my son's behavior and mood, the decision to have her registered as an Emotional Support Animal was clear. It has been two months now that Stella walked into our life, and she is now not only my son's official ESA, she has also quickly become a member of the family. Now, I get it. I understand how a pet can truly impact a family, I understand that there is a true and deep love there that is in many ways no different than any other loved one... I actually understand WHY people want to spoil their pets, and find myself in that same club. As this holiday season approaches, I cannot WAIT to show our appreciation for the difference she has made in our family with a little extra pampering in her very own stocking! First up, you'll want to choose your fabrics. I chose to go with something very Christmas-y but choose whatever you like. Find a coordinating embroidery thread. Once you've decided on your felt, cut into two even squares (or shape of choice). Now, put the pieces together, with the outsides facing out. Pin if needed. Now prepare your needle and thread. 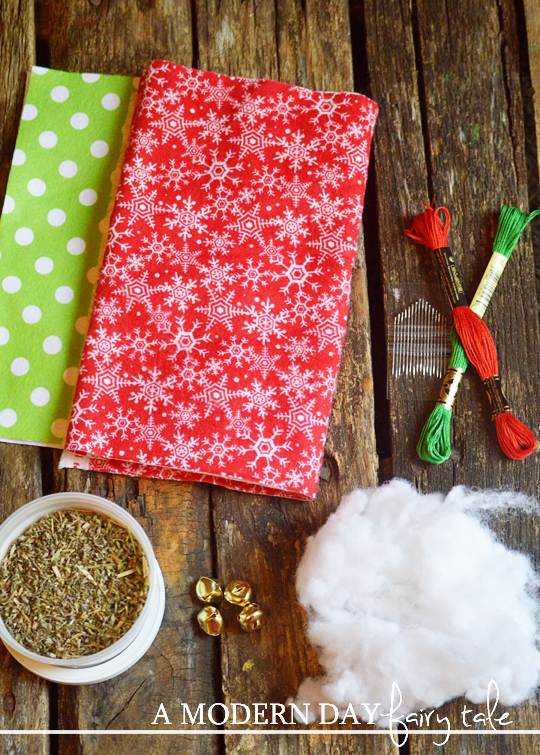 For this toy, I chose to use a simple visible whip stitch so I chose a contrasting Christmas color to bring in more fun. Start sewing. Now, if you are a new at sewing, don't be intimidated. This is a super simple stitch that ANYONE can do. To do this stitch, you will bring the needle over and through the opposite side of the fabric diagonally. Repeat, making sure each stitch is tight. Continue to do this until 3 sides are complete. (Search YouTube for a more detailed how to). Now add your stuffing. 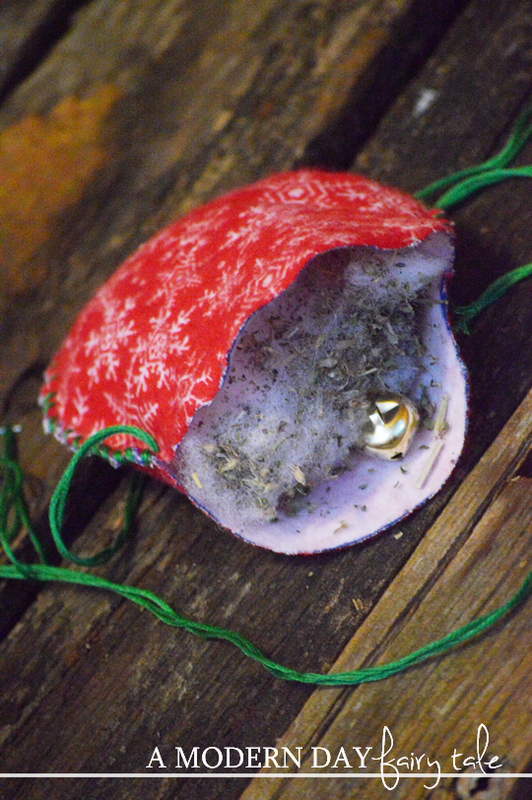 You can find this at your local craft store, or if you're like me and have a ripped pillow in need of repair, just grab a small piece from that. It doesn't take a lot, so if you're on a budget this can be a great option. Take a small amount of catnip and add this into the stuffing as well. Work in in with your fingers so that you have some throughout. Want to add even more fun for your cat? Toss in a small bell or two for noise! Or keep it as is for a quieter toy. Once stuffed, finish stitching up the final side. There you have it! This simple toy is cute and fun...and budget friendly too. The perfect addition to your kitty's stocking. But of course, no holiday is ever complete without the food, is it? So, why should our cats miss out on THAT part of the festivities!? Now, they may not be able to enjoy the roasted turkey and cranberry sauce, but you can head to your local Kroger store to find everything you need for a yummy Christmas for your pet. While the rest of the family is chowing down on the pumpkin pie and turkey, it doesn't seem fair to have the smallest member of the family eating just any old cat food. Instead, we stocked up on some Fancy Feast Purely- a cat food made with REAL seafood, chicken or beef- no by products or fillers in this feast! Your cat will sure feel like part of the family! I know our Stella just could not get enough! If they cannot eat the Thanksgiving feast, Fancy Feast Purely is most certainly the next best thing! 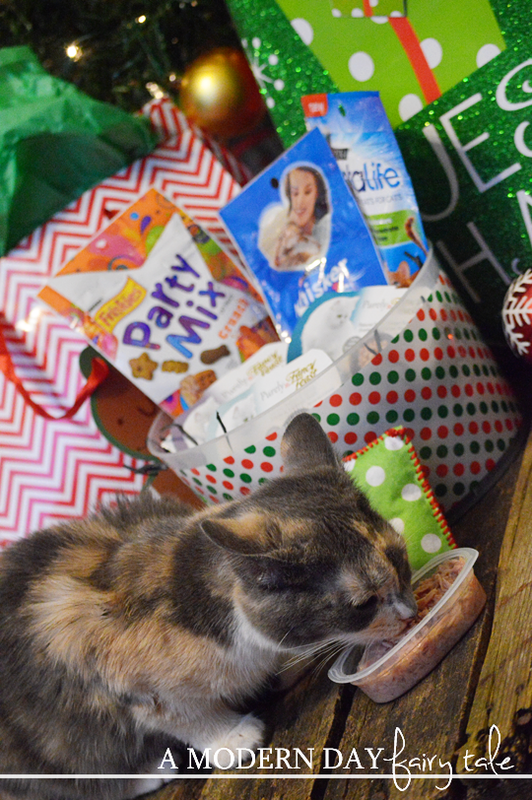 We also picked up a variety of cat treats like Friskies Party Mix, Purina Dentalife and Whisker Lickin′s because what holiday is complete without a little treat? 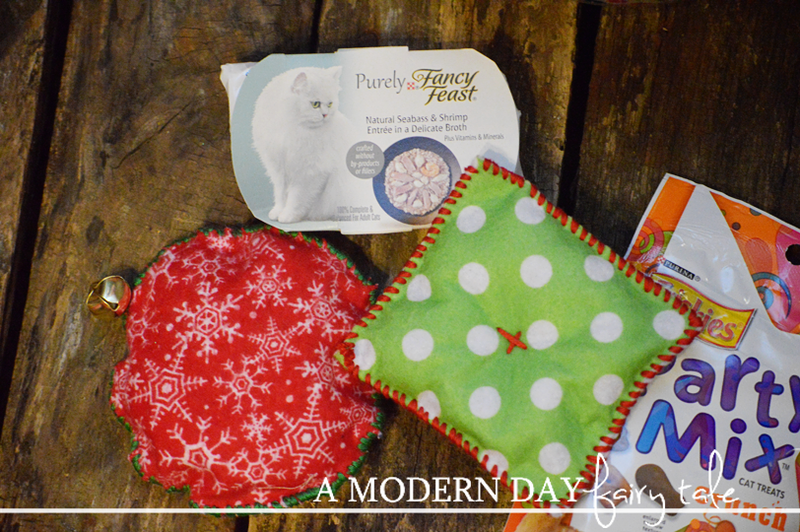 These Purina treats are delicious for cats, and the perfect addition to every cat's stocking this year! 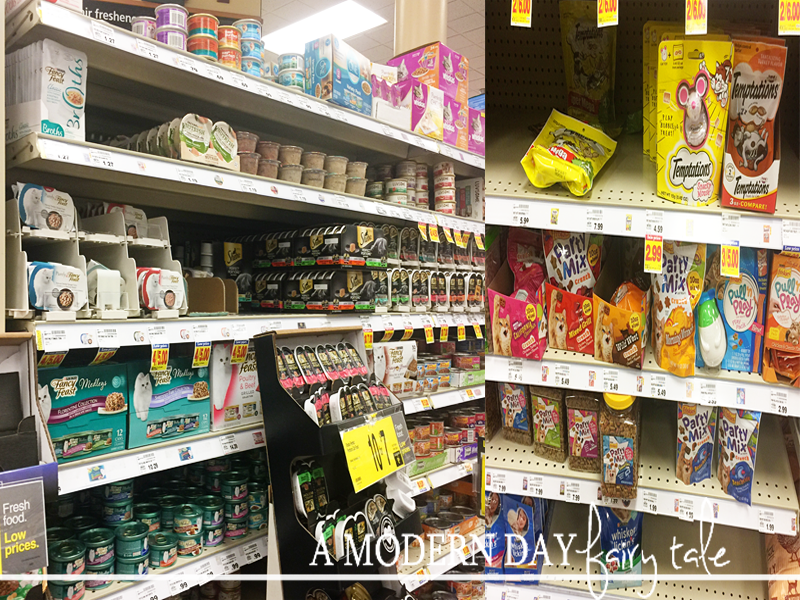 I know, I know... with sooo much holiday prep and shopping to be done, it can be tough to make an extra trip out for your pet... but with all of these great selections available at Kroger, you can get everything you need for your holiday meals AND your pets needs. 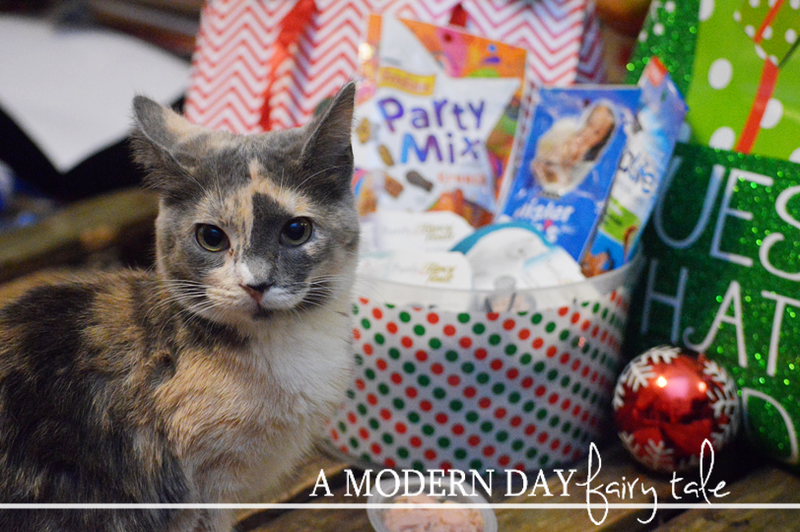 From the newest Fancy Feast Purely formulations to delicious Purina DentaLife treats, you can stock up all in one trip while juggling the holiday bustle. When shopping for your pets is this easy you even have a little extra time, during this busy season, to stop and show your pet you care. What's better than convenience this time of year? Saving money of course! 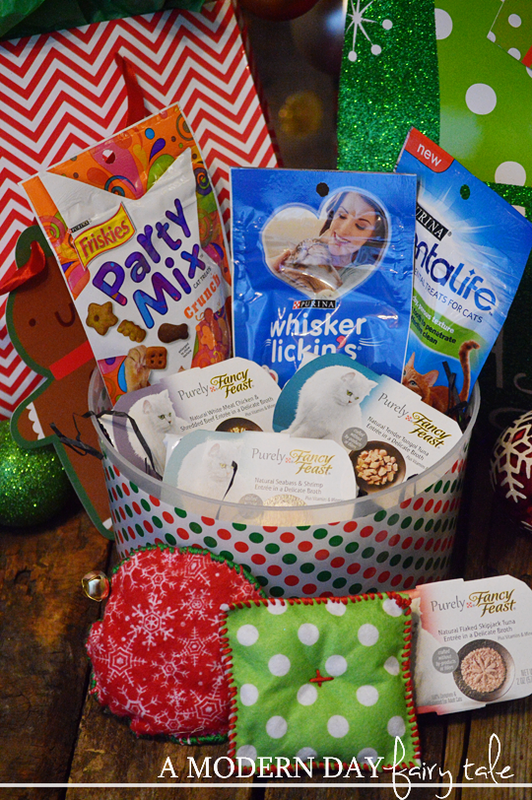 Spread holiday love to your furry friends with the help of Purina! Now through the end of November, take advantage of great savings on your favorite Purina pet products available at Kroger with this Coupons.com link, while supplies last. Looking for more inspiration to pamper your pet this Christmas? 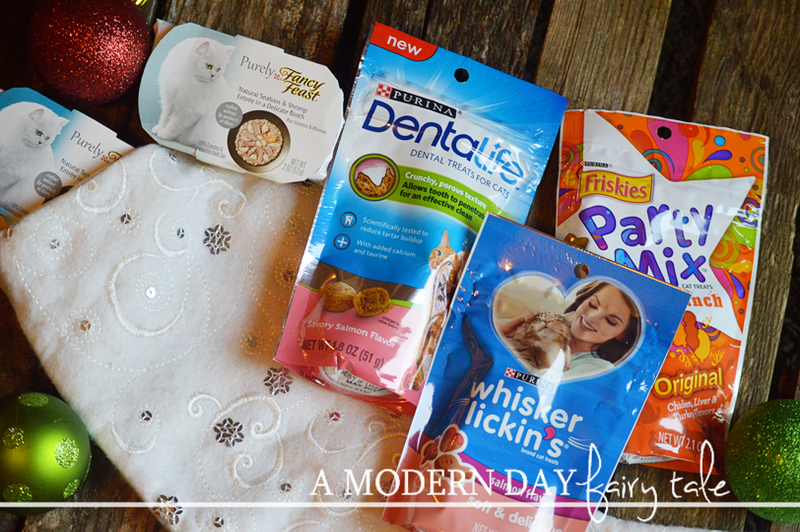 Visit Purina to see how other bloggers are treating their own pets! Absolutely adorable!! 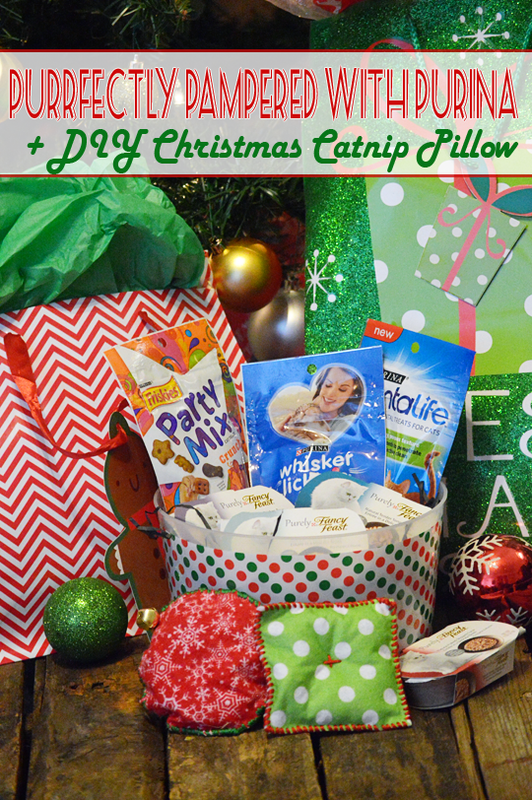 What a sweet treat for your furry friend on Christmas!! Love it! My kitty would love these catnip pillows. I like that you can make ones for different holidays and /or to match your decor.